I’m working on some new designs. A reincarnation of older designs. This picture shows the pots after painting and carving, waiting on the shelf for bisque firing. 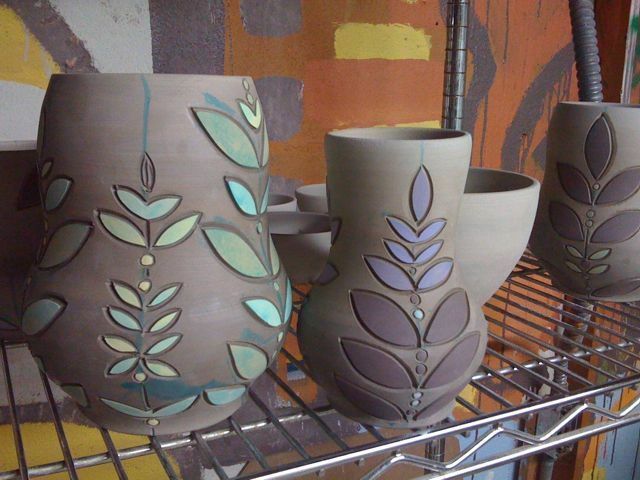 The faint blue lines aid in keeping the design straight, are temporary and disappear after the first firing. This entry was posted in Uncategorized and tagged new pots, stitches on August 16, 2010 by Jennie. the will look beautiful !!! cant wait ! !